Moldova has a lot of entrepreneurs. As you walk along the streets in Chisinau, the capital city, you constantly pass signs advertising software development companies, data centers, and computer sales. As citizens of a “developing” country, young people know they need to work smarter, harder, and more creatively to compete with not only each other, but also others countries in Europe and the world. Grigore Raileanu is one of those aggressive young people. And an entrepreneur with a successful company named Remsys. In fact, you may not even know Remsys is a Moldovan company, possibly believing it is based in the US! John Savageau: Today with have with us, Mr. Gigore Raileanu, who does business development with a Moldovan company called Remsys. Good afternoon Grigore! Grigore Raileanu: Good afternoon John and everyone! John Savageau: So, please start us off and give us a little background on yourself, and give us a little background on Remsys. Grigore Raileanu: I’m actually doing business development for my first company Remsys. This company has successfully grown to thousands of systems, managed systems, and heterogeneous infrastructure. We are positioning ourselves as a managed solutions provider for small and medium businesses. We are also doing 24 hours (a day) custom technical solutions for our clients, and we are designing and managing complex infrastructures, networks, fighting SPAM, and building clouds. John Savageau: That’s exciting. I believe that Remsys has roots based in web hosting and managed services, are you expanding on the initial concept of the company? Grigore Raileanu: At first our customers were mainly hosting companies, but as I said we have repositioned as a managed solutions provider for small and medium business. So it’s not only hosting and the like, but our customers quite big, and we even have video-on-demand providers and medical companies. So it’s not only hosting. John Savageau: And you are not just limited to Moldovan companies, you also go outside of Moldova? Grigore Raileanu: Well our companies (clients) are mostly out of Moldova. A lot of the Moldovan companies we are working for, are actually subsidiaries of foreign companies. John Savageau: So let’s move on and talk a little about Moldovan ICT. We’re curious, (you) being an entrepreneur and running your companies. How do you feel about the ability of Moldovan companies, not only to compete in Moldova against foreign companies, but also within global markets? 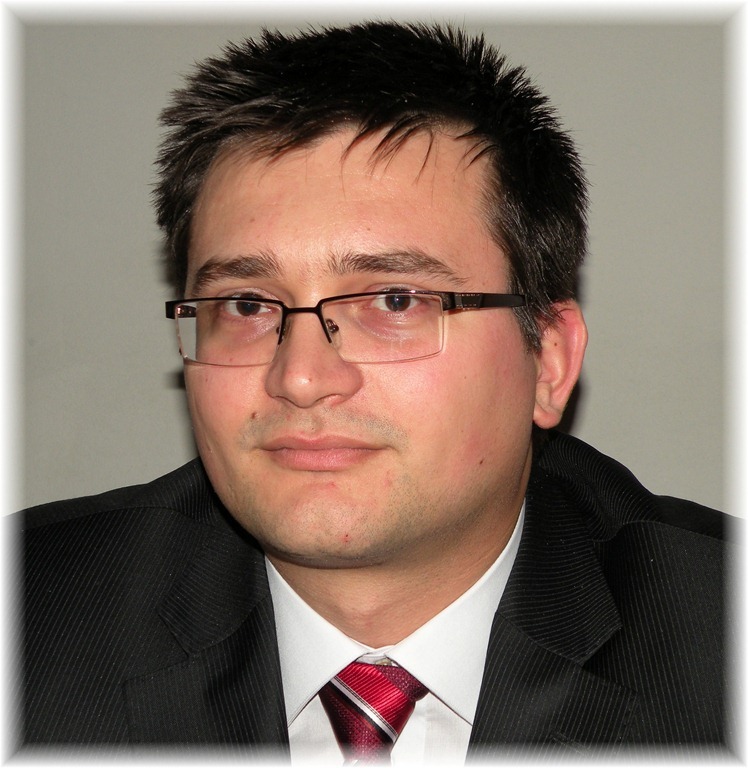 Grigore Raileanu: In my opinion Moldovan companies are highly competitive. Firstly because of costs. Our teams are delivering full project lifecycle from development and testing, to technical support, and hosting. ICT companies in Moldova are mostly oriented to business process outsourcing, like software development, testing, or eCommerce. Many private companies are opening and operating their offices here in Moldova. This way our companies can be considered as competing on the global market. John Savageau: Do you have any significant strategies, or ideas you use to make your company – or other Moldovan companies competitive in a global market? Grigore Raileanu: Actually we are working to improve our technical team skills, our procedures, training, participate in different expositions in order to get more skilled people. John Savageau: Do you believe the academic community, or education system,… are they preparing workers well enough to compete in the workforce, or to meet your needs with technical or management-level talent? Grigore Raileanu: I think that our academic community can do it better. Actually, the universities are not able to satisfy the demand. Most importantly the quality of studies has to be improved a lot. Companies spend a lot of resources and money in order to educate and graduate students, as the university’s programs are outdated and need to be revised. John Savageau: And how about the teachers and instructors,… are they prepared to teach students what they need, or do the instructors also need to increase their capacity? Grigore Raileanu: Yes, as far as I know, our teachers are also working in ICT companies, so mostly they are involved in the continual process of education. John Savageau: As far as the students, do the students also have an opportunity to have internships or participation with priovate companies while they are in university? Grigore Raileanu: Yes, even the ICT Association has such programs, and are running internships, and Moldovan students are participating and gaining knowledge – they are even getting to know the companies they may work with in the future. John Savageau: Outside of Chisinau, Chisinau being the largest city, with obviously the most resources available – how about the countryside – what is the future of children in the countryside for participating in ICT? Grigore Raileanu: I think we need to consider that people should not orient towards Chisinau only. We have a lot of great place like Balti, Cahul, Tiraspol, and we must build our IT development centers there as well. John Savageau: Is there a partnership opportunity between private companies and the academic community, or private companies and the government for that matter? Grigore Raileanu: Actually, yes. Our association of private IT companies is doing that. They are doing a lot to improve the situation, and also to change the educational programs and curriculum for our universities. Also, work with the government to get better conditions for taxes. Up until this year there was no tax for programmer’s or software engineer’s income. John Savageau: Let me move on to a different topic, that is cloud computing. This is a big buzzword. Everybody around the world talks about cloud computing. Is cloud computing important to your company, or to Moldova? Grigore Raileanu: I think yes. Actually, like you said, cloud is a buzzword, every speaks about cloud, but people understand different things about this. In my opinion, the cloud is infrastructure able to scale on demand, it is highly secure, and able to decrease IT costs. Cloud computing will have a significant impact on Moldova, but there is still no market for this in my opinion. We have to create, and stimulate this market somehow. I’ve also heard that our government is going to launch, or already launched, a Moldavian cloud project. It is looking to improve the government, and its subsidiary state corporations by owning the highest available and scalable IT infrastructure. John Savageau: How about Software as a Service (SaaS). There are a lot of software companies, specifically in Chisinau. Do Moldovan companies have an opportunity to develop SaaS applications on a global scale? Grigore Raileanu: Well, yes, and we are already doing it. But it is not for internal use, I mean it is not for the Moldavian market. John Savageau: Is that still an opportunity to learn those skills and be prepared once cloud computing is a factor in Moldova? Grigore Raileanu: I thin kwe have many things to learn, and improve, in order to create and launch this market. But yes, there is a place for this market here in Moldova. John Savageau: How do you believe that Moldovan companies should approach the global market? Again, we know there is business inside Moldova, but there is also a very large world outside of Moldova – how do you approach that global market? Grigore Raileanu: Moldova has a lot of companies that are subsidiaries and offices of global companies. Moldova has to deliver something better in order to compete with countries like India, the Philippines, and so on. So I think that we will lead by our cultural approach, we are more closed to the occident compared to the Indians or Philippines. John Savageau: For people who are adults, or have not grown up in the Internet age from childhood accessing Facebook, Skype, and things like that where it is normal, how does the 25~40 age group – how do you think they are going to globalization of communications, and societies and things – are they ready for it? Grigore Raileanu: Yeah, I am sure they are, it’s not really hard. From my experience I have talked with people who have never seen a computer. And if that person is young, has elementary skills, they can work it out and improve their skills. John Savageau: What so you see as a future for Moldova? I mean if you have a white board, and you have any idea that you want to put on the white board, what should Moldova do to make itself more competitive, and become a factor in the global economy or in the global marketplace? Grigore Raileanu: I think Moldova has to orient on mobile services, startups, and even why not build centers for startups to meet investors, governments, and work together to launch some new companies with new ideas. Maybe the next Facebook will be launched right here in Moldova! John Savageau: If the Moldova cloud, the government cloud, actually moves forward as aggressively as it does (is planned), that might be one of the first successful cloud projects in the world (government clouds), which means that Moldovan companies that participate would be able to replicate that process in other developing countries in Africa, eastern Europe, Asia,..
How do you feel about that? Are you ready to go there? Grigore Raileanu: Of course, being a patriot, I would be very happy because my country is one of the first countries able to launch this project and to give a good example for different countries. John Savageau: Any other ideas you would like to pass on to the global ICT community, about Moldova, your company, yourself? Grigore Raileanu: Well my company, we are starting some nation-wide programs, and we are very present on the Moldavian market, and maybe we will have some meetings this year, and bring our services into the (global) market, and if there is no demand for some kinds services we will try to create it, so everyone can benefit. John Savageau: Thank you very much for taking the time this afternoon. I wish you and Remsys, and Moldova the best of luck. All my respect to remsys and Mr. Raileanu !!! A real proffessional.